A man has died in an axe and knife attack outside a village pub barely an hour after he saw in the new year. 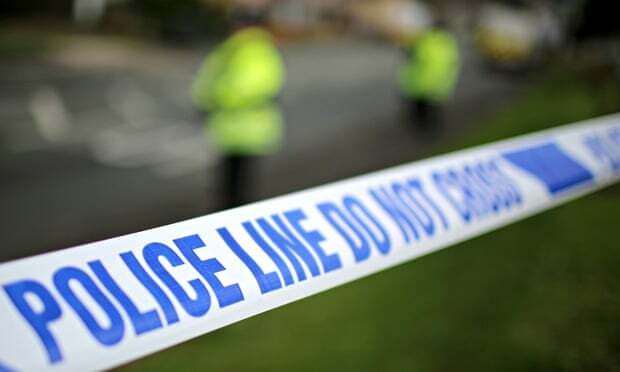 Police said ‘major disorder’ erupted around the Kings Arms in Tamerton Foliot on the outskirts of Plymouth, Devon, at around 1.30am on Thursday. A group clashed on the tiny village green leaving a 27-year-old man dead, and two more people in hospital with knife wounds. Two further men from Plymouth – aged 20 and 21 – were arrested on suspicion of murder and are in police custody awaiting questioning. Officers, who have launched a murder investigation, recovered an axe from the scene and are asking residents to check their gardens for any discarded weapons. Police said worried revellers called them to the pub after a man was seen carrying an axe and a knife. Further calls were then made reporting ‘disorder’, and when officers arrived they discovered the 27 year-old with fatal injuries. He was taken to nearby Derriford Hospital by ambulance but pronounced dead on arrival. Much of the village was cordoned off for several hours following the violence. Residents returning to their homes from New Year’s Eve celebrations elsewhere found themselves escorted to their front doors by police. One said: “The police stopped us at each point on the way back into the village. By the time we had come back the incident was over. An axe was found at the scene [but] we’re still searching the area. We would like any local residents to keep an eye out for anything that’s been discarded, and if they do find something to call police immediately and not touch it. Councilor, Jonny Morris said the pub was a ‘nice’ place where trouble was very rare.